Today was our Chickadee Awards Banquet. This is the 8th year I have done these awards. Getting ready for the day is so stressful for me, but the actual ceremony is pretty smooth....and ran by kids! We make invitations out of nice scrapbook materials and put them in envelopes...with separate response cards...just like a real formal event. Today, out of 36 students....32 had at least one adult represented! Yay parents! I should have taken a picture....I think there were at least 90 people in our room!!!! First we make a list of awards. I type the list, leave a blank, and put a class list at the bottom. 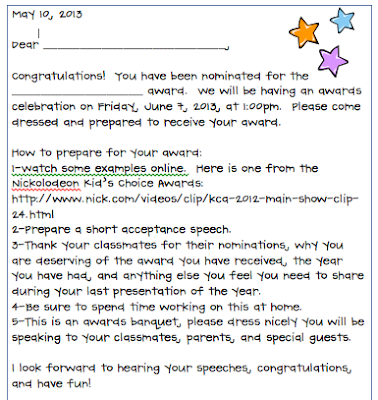 Then I copy one for each student and they put a friend's name next to each award. 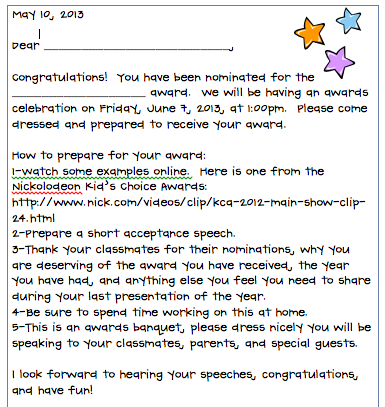 Then I tally them all up and assign each award to a student. 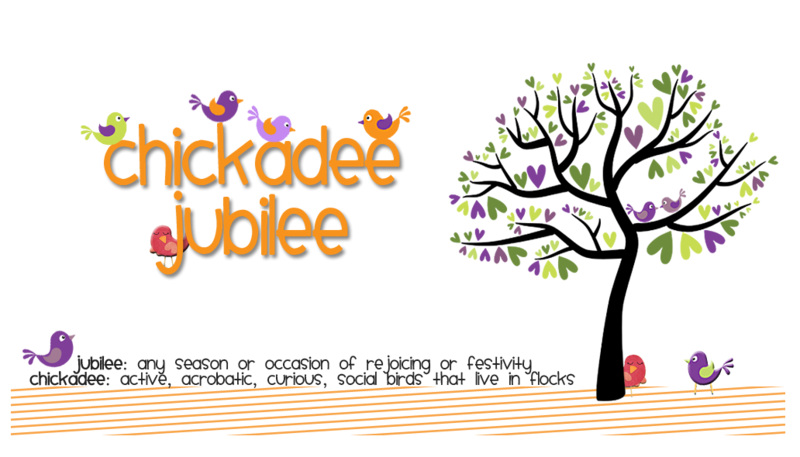 For Chickadee Award Day, I print certificates with each students name and the award. Then they get a secret envelope with what award they will be receiving...this goes home and they are to prepare an acceptance speech for the big day. Dress Rehearsal.....they are SO fabulously dressed....I had a suit, ties, button up shirts, dresses! SO fancy! The speeches are so great...some kids walk up, say thank you, and sit back down. While others prepare and fabulous speech thanking friends or parents. One student today, quoted Walt Whitman and another recited part of "The Shot Heard Round the World." (Mostly because it is about Giants winning pennant...and I am a huge DODGER fan!) 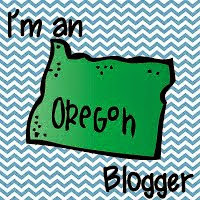 Sometimes I cry more over some of their words than the stinking slideshow! 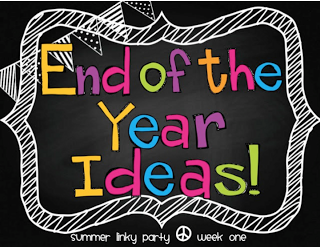 For more end of the year ideas...check out the linky over at Seusstastic! That seems WAY more involved than our awards ceremony and it about drives me over the edge! I am impressed with the kiddos doing it all:) Fabulous. I love this! You do such good work. Your students will never forget it. Very impressive! I love all the little touches you've added to make it extra special for your kids and families. Great job Laurie! I am sure they will remember you! Oh, wow - what a great end of the year celebration! I bet the kids enjoy it immensely!